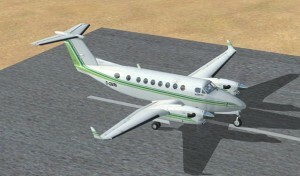 Although it still shows FSX, version 1.10 of the scenery has installers for Prepar3D and has been tested on v1.2. Unfortunately our ISP is having some technical issues that is causing our download server to be unavailable. It also brought down our web server a couple of times over the past two days. It does not appear to be related to the number of downloads, but a wider issue with the ISP. As soon as we get more information from the ISP, we will pass it on. Sorry for the inconvenience, it is very frustrating at our end as well I assure you. 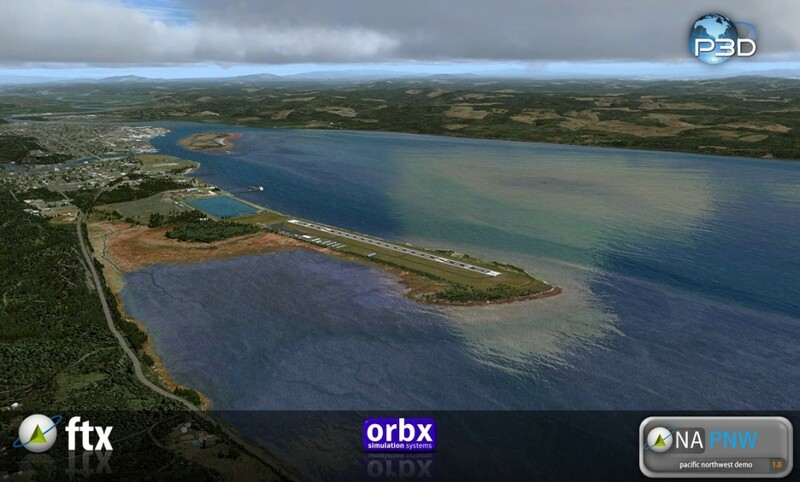 Orbx have just announced the immediate availability of a free evaluation version of its FTX Pacific Northwest terrain. This is fantastic news! Go to the following link to find out more. I really recommend you try it out! Taking training to the next level, Lockheed Martin has launched Prepar3D 1.2 to offer students and professionals the most immersive learning environment. The latest iteration of the visual simulation software includes new features and enhancements for aviation, maritime, ground-based and emergency response training scenarios. Prepar3D can be used by private pilots, commercial organizations, the military and academia as an experiential training program for virtually any scenario imaginable. In Prepar3D, users can practice a mission or flight plan before it happens to increase effectiveness during real-world operations. New user interface – Users now have a Windows 7 compatible drag n’ drop interface with customizable settings. Quickly create and save your favorite missions. Multiple monitor settings saved – Users can quickly save panel and scenery window locations across multiple monitors with flight files. 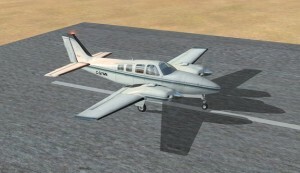 Prepar3D remembers the settings upon restarting a flight and restarting Prepar3D. Internet multi-player capability – Users across the globe can collaborate with others within the Prepar3D environment to train for their missions or tasks. Multi-channel capability – Users can harness the power of this new feature to operate Prepar3D with multiple monitors creating a more expansive viewing capability all the way up to 360 degrees field of view . Sensor camera options – Users can experience night vision and infrared sensor camera options to enhance military mission or night flying training. Realistic scenery – Millions of square kilometers of the earth have been checked and upgraded to accurately represent the urban environment. Higher quality graphics – Users will experience higher quality graphics such as more realistic rainy or snowy weather with the modernized shader model 3.0. Also offered for higher quality graphics are increased texture limits which can be set as high as 4096 x 4096. 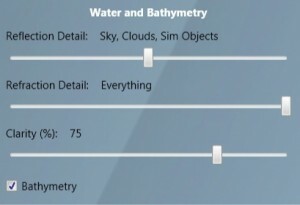 Underwater environments – Users can take their simulation experience under water with submarines and the U.S. Geological Survey’s coastal bathymetry. Enhanced developer toolset – Developers can use the Prepar3D environment to create new training solutions for the most modern platforms. To aid in rapid development, Prepar3D is now fully compatible with Windows 7 and Visual Studio 2010; it offers a Windows Presentation Foundation (WPF) user interface, an external simulator capability that provides enhanced control of the simulation code, new code samples updated in the Software Development Kit (SDK) documentation and support for the latest 3DStudio Max tools. The release notes for Prepar3D 1.2 are available here. The move from the legacy multiplayer system allowed us to fix a few things and to add in features that the developer and user community asked us for. We continue to make improvements to the user experience with new features and enhancements to existing or legacy code in Prepar3D. We always like to get performance gains and visual improvements! Added fallback support for any SimVar not natively supported by the current Category Sim Class, so all SimObjects inherit this ability. Lockheed Martin’s Central Florida operations have been named among the 2011 recipients of the William C. Schwartz Industry Innovation Award by the Metro Orlando Economic Development Commission. The award honors companies for creating, developing and successfully implementing products, ideas and processes. The award cited two Lockheed Martin programs that are meeting urgent customer needs through affordability and innovation initiatives: Prepar3D® simulation software and the HULC hydraulic-powered exoskeleton. The purpose of the EDC’s award program is to inspire future entrepreneurs, scientists, business leaders and dreamers to harness the incredible power and promise of technology and creative thinking to solve challenges in the 21st century. With more than 50 years in Central Florida, Lockheed Martin’s operations are primarily located in the Orlando area with additional sites throughout the state. As the largest industrial employer in the state, Lockheed Martin continues a legacy of community support through longstanding volunteer programs and philanthropic initiatives. I was invited to speak at the “Dream-Fly Columbia” aviation training conference held recently from 5-11 September at the University of San Buenaventura in Bogotá, Columbia. 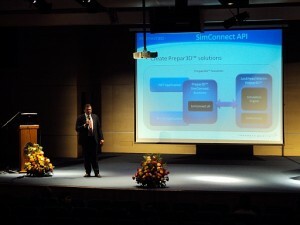 I gave a presentation on Prepar3D and showed it off to a large audience at the University. I was graciously hosted by the CEO of VirtualCol, José Gonzales along with his son, Carlos. I had a great time and met up with a few companies and military representatives that are keenly interested in using Prepar3D in various programs there. A wonderful experience!